So our sping double tour is over!!! It was not piece of cake, but we made in all in peace and health this slovakian campaign with our brothers ČAD and young but promising thrashers ACID FORCE. So many of you were at the shows and we really enjoyed that tour!!! We gonna remeber the tour with tear in eye and as a tour result we gonna work on split recording with ČAD band and of course we got some new offers to play in Slovakia!!! Second tour, the OBSCENE EXTREME WARM UP TOUR 2018, which we did in 20 years old line up turned out very well too and we recollect old times with nostalgy togetehr with gyus of AHUMADO GRANUJO. Those who has been at the shows can think back too, shame for those who wasn´t!!! We wont be doing again!!! So we hope that you enjoyed all those shows same as we did. 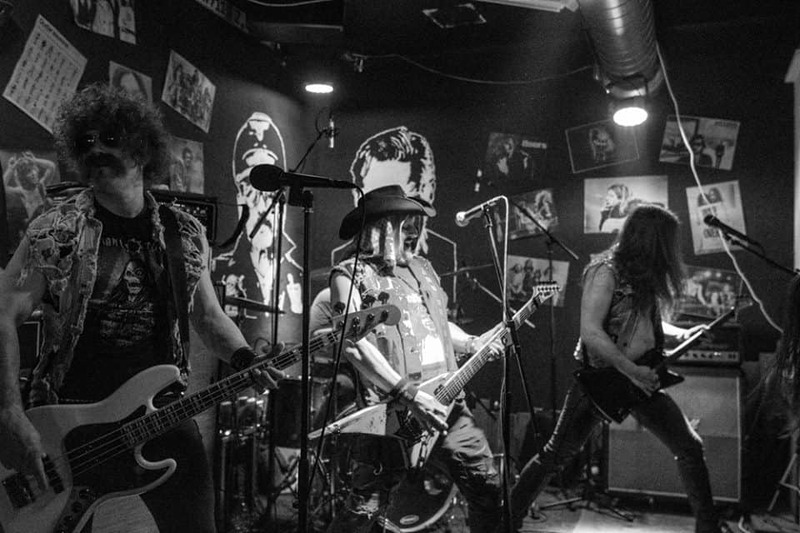 We thank you all for your support and now start the season of the summer festivals and we will be unleashing our dirty rock´n´roll on some of them!!! More info in gigs section!! !